Skyscrapers may be our most powerful tool in providing dense, energy-efficient living for a rapidly urbanizing population, but this typology faces certain limitations inherent to its traditional form, namely, the lack of interplay between tower, urban context, and community. 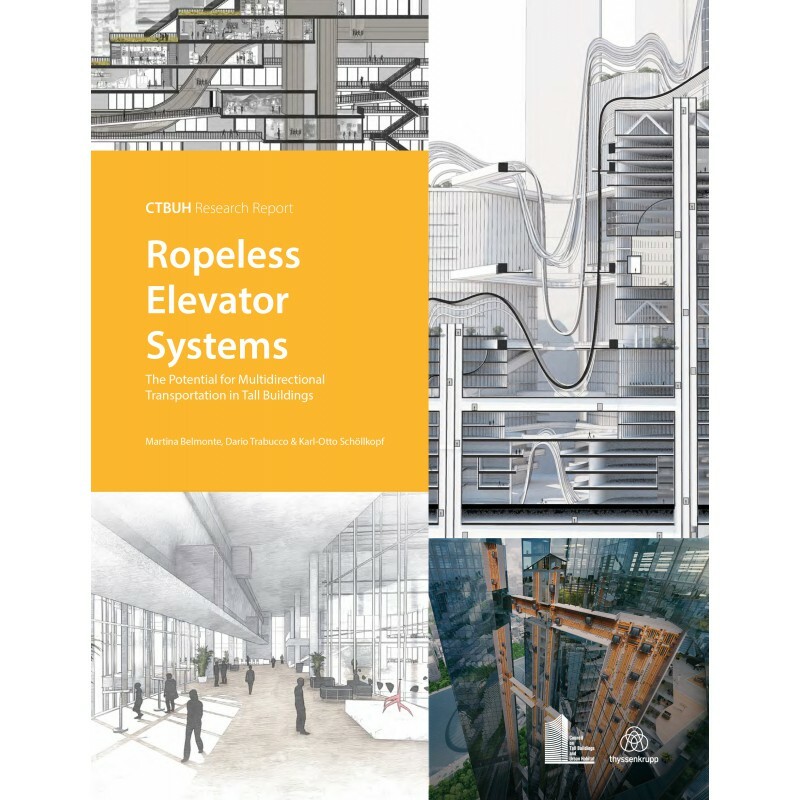 Through a historical overview, case study analysis, and a series of design considerations, this report explores how ropeless and multidirectional elevator technologies can enable cities to be more interconnected, efficient, and accessible. Running on a series of seamless loops, and powered by magnetic levitation, ropeless and multidirectional elevator cabins could follow a multiplicity of routes within a given building, not only reducing the quantity of shafts needed and increasing rentable area, but also allowing elevators more options in terms of where they stop across a building’s dimensions. When paired with skybridges and “skyspaces,” at-height services and communities could be easily linked with one another, bolstering the critical link between a piece of architecture and the urban sphere, while combating some of the insularity endemic to skyscrapers. This Research Report is the product of two years of research by the CTBUH Research Office in Venice, CTBUH Staff, professionals in the field, and a research team of architecture and supporting academic advisors. It is part of a series of research reports that offer insight into specific areas of skyscraper research, offering a wealth of knowledge essential for industry professionals, academic researchers and all others interested in the relationship between skyscrapers and urban habitat.